"I only knew ELDEN for a short time of his life, but the 9..."
"We were the first officers of the Olympic View Men's Club. ..."
"I enjoyed greatly listening and talking about his military..."
"Good Man, spent hours talking golf, and playing..My..."
Elden E Williams, age 95, passed away in Lynnwood, Washington on August 18, 2018. He was born in Woodston, KS, to Ernest and Della (Smither) Williams, on September 11, 1922. Elden is survived by daughters, Dianna Williams of Marin County, CA, and Teri Williams of Mt. View, CA; along with grand-children, Matthew, Michelle, and Nathaniel; and great grandchildren: Ty, Chloe, Jetty, Isaac and Sofia. Another grandson, Mark, preceded him in death on November 12, 1993. Elden is also survived by two younger brothers, Herb Williams of Sun City West, AZ, and Richard Williams of Lakewood, CO. After attending Kansas University (Sigma Phi Epsilon), he entered the US Army Air Corps and married his long-time girlfriend Virginia Marie Van Liew in 1943. After 72 years of marriage, Virginia Marie Williams, passed away on January 10, 2016. Elden flew combat in Europe as an "Aerial Spy" - aka Tactical Reconnai-ssance Pilot flying modified P-51's until the end of the war. He retired from the USAF at Paine Field, WA in 1966 to become General Manager of JetAir Corp, a Lear Jet business at Paine Field. Both in and out of the Air Force, he had a most varied and interesting career. He was involved in the International Air Fair at Paine Field from 1961 to 1972, Everett Jay Cees and Lynnwood Rotary Club. 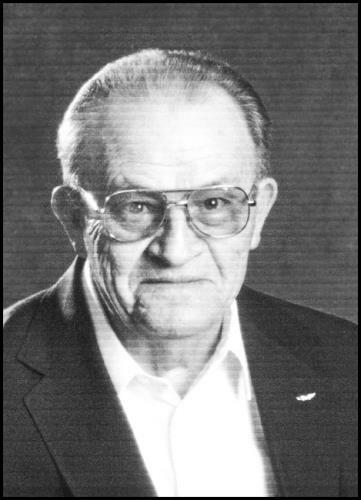 He was a Co-founder and Charter Officer and Director of the International Council of Air Shows, flew for Civil Air Patrol and was a test pilot for the USAF "Quiet Bird". Flying in WW II, which has garnered high reviews, was written by Elden when he was 90 years young during which time he also enjoyed his association with Paul Allen's Flying Heritage Collection. Starting his golf career in 1929 he had a total of 16 Holes-in-One. He was a Co-Founder and Charter Officer of the Olympic View Golf Club in Everett and was involved in the Pacific North-west Golf Assoc, Washington State Golf Association and the United States Golf Association. Elden also worked with Golf Digest magazine as a golf course rater. Private graveside services will be held at Tahoma National Cemetery where he will be joined by his wife, who preceded him in death in 2016.